It should come as no surprise that life expectancy in the U.S. is on an upswing. Per a report released in October by the National Center for Health Statistics, part of the Centers for Disease Control and Prevention, the average life expectancy for 2012, the most recent year for which the data was available, was 78.8 years. And while the causes of that continual increase are many and span age groups, including reductions in infant mortality and improvements in medical science, statistics also show good things for the health of older adults. A 2012 study by the Federal Interagency Forum on Aging-Related Statistics, a group dedicated to bringing together federal agencies with the purpose of improving aging-related data, showed 76 percent of people ages 65 and up considered their health “good,” “very good” or “excellent” for the study period of 2008-10. 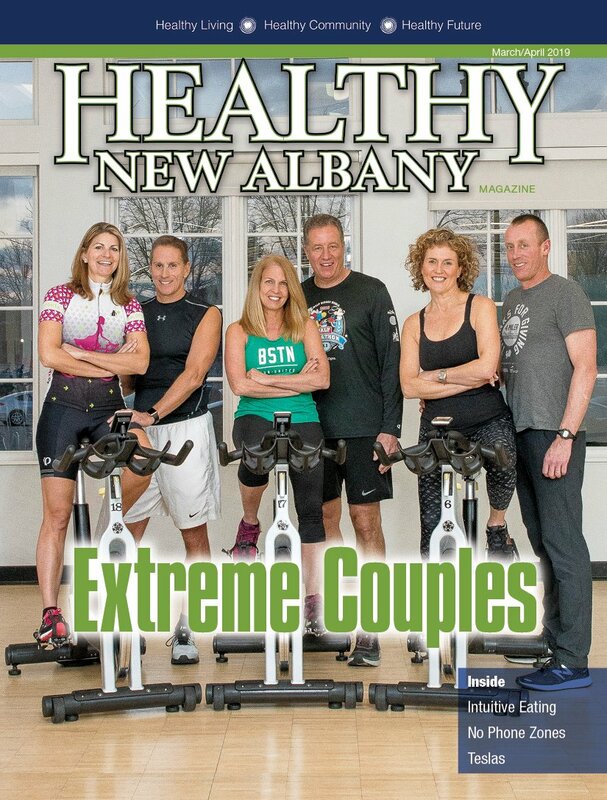 New Albany being a highly health-conscious community, it stands to reason that older adults here take their wellness seriously. It’s no coincidence that programming for older adults at the Philip Heit Center for Healthy New Albany, in partnership with The Ohio State University Wexner Medical Center, falls under the category name “Active Adults.” These are individuals who have made the decision to maintain their good health and want to know how best to do it. But with so many factors affecting wellness, it can be tricky to keep track of all the relevant health risks – not to mention all the potential means of dealing with them. Fortunately, there is plenty of information when it comes to the former, and plenty of options when it comes to the latter. Obvious as it may seem, any discussion about fitness, no matter the ages of the relevant parties, has to include exercise. For some, range-of-motion exercises can be more beneficial than weight-bearing exercises, to avoid putting undue pressure on joints. One good alternative for those with joint pain or weakness is aquatic fitness, something the Heit Center will make available in its pool. The New Albany Country Club also has aquatic fitness classes, which are popular among its older members. Weight-bearing exercises are still useful for improving and maintaining bone health. Walking remains one of the safest weight-bearing exercises, and New Albany – with its 30 miles of leisure trails and the New Albany Walking Club – is well equipped for walkers both committed and casual. Cardio equipment such as stationary bikes are good alternatives for those who can’t walk regularly for exercise. The Heit Center is one of a number of New Albany area spots with such equipment, but it’s distinguished by its connectivity to the rest of the facility – members can carry their personalized health plans on USB devices and plug them into each piece of TechnoGym cardio equipment. Sporting activity is another option in New Albany, with New Albany Parks & Recreation offering adult leagues for volleyball, played at New Albany Middle School; basketball, played at three different New Albany schools; and soccer and softball, both played at Bevelhymer Park. New Albany Country Club has a variety of offerings, too, with its tennis activities and clinics being particularly appealing as they can be customized to those who no longer have the seeming invincibility of their youth. Aside from the expected calorie-burning, each of these activities carries unique benefits. Volleyball strengthens and speeds up reflexes; basketball improves balance and coordination; soccer improves overall health because of its constant switches between walking, running and sprinting; softball has been associated with lower incidences of osteoporosis; and tennis boosts both gross and fine motor control. The mind is another body part that needs regular exercise, which can come in any number of forms. Dr. Greg Wise, chief medical officer at Mt. Carmel Health Plan and chair of family medicine at Mr. Carmel East, recommends, among other things, planning meals and playing along with game shows on TV. Staying away from the obvious no-goodniks – think doughnuts, French fries and soda – is just the start of the conversation when it comes to eating right. Dark green vegetables – bok choy, mustard greens, broccoli, Swiss chard and kale, among others – are consistently good choices. As a bonus, if you’re taking calcium supplements, taking them with vegetables will help the calcium better bond to bones. There are numerous options for fresh produce in New Albany; residents may pick something up at the New Albany Farmers Market or set up a plot in the New Albany Community Garden. And when fresh is actually fresh – that is, eaten a day or two after being harvested, not bought from the grocery store after a weeklong trip across the country – the item retains most of its nutrients. With meat, baked and grilled are always better than fried. Diet can also play a role in susceptibility to disease. Some dietary decisions, for example, may increase or decrease your cancer risk. The American Cancer Society lists some examples. Red or processed meat may add to the risk of colorectal and pancreatic cancers; high-dose beta-carotene and/or vitamin A supplements can further increase smokers’ chances of lung cancer; saturated fat may increase the risk of ovarian cancer; diets high in calcium and heavy on dairy may put you at greater risk for prostate cancer; and a diet high in fruits and vegetables tends to be linked to low risk of a litany of cancers. One of the instructional sessions for active adults that will be offered at the Heit Center will focus on cancer prevention as it relates to diet. Another will explore how both diet and exercise affect such numbers as weight and blood pressure. A third will fixate on carbohydrates, separating the myths from the facts. On top of the sessions, the center will offer a plethora of cooking demonstrations in the M/I Homes Demonstration Kitchen. Some methods for maintaining health in the older population come down to knowing the risks and steering around them. Nothing can cause a turn for the worse as quickly as a bad fall. But there are techniques for maintaining better control over one’s balance. Tai chi is known to be a good way to improve balance, Wise says, and yoga can help as well. Yoga can also help with back pain, as explored by the Heit Center in another of its class offerings for active adults. Another Heit Center class will focus in particular on balance and what older adults need to know about it. The New Albany Country Club offers yoga and tai chi and, beyond those, has a number of classes that can address the issues faced by seniors. Subjects include functional fitness, which focuses on building the body for everyday activities, and Muscle Activation Therapy, which identifies and then corrects weaknesses in motion joints. Wise also recommends working to prevent falls. That means keeping room lighting at a good level, placing furniture on the sides of the room rather than the center and being wary of such potential trip-ups as throw rugs and extension cords. And if you’re taking anticoagulants, be aware of the added risk – they thin the blood, which can cause bigger bruises and more free-flowing cuts.